The Commonwealth Garda has its origins as the Righ Garda, effectively the King’s Guards. To begin with the Garda were little more than bodyguards, though successive monarchs gradually expanded the role and duties of the Garda to help spread the monarch’s influence over what would become the Commonwealth. Charged with upholding the King’s Peace, the Garda was given much wider jurisdiction than the various town and city watches in addition to being ranked above them. As power shifted from the monarch to the Commonwealth’s parliament, the role and responsibilities of the Garda were formalized. Over time the system of town watches proved to be inadequate and they ended up be gradually absorbed by the Garda until it became the Commonwealth’s main law enforcement agency. Today the Garda provides day-to-day local policing within the Home Isles, though it does have jurisdiction in other territories despite their own local police forces. 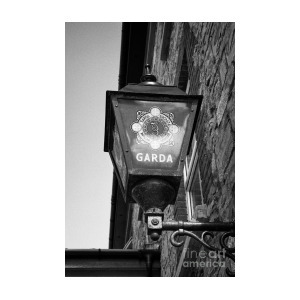 The main public image of the Garda is of uniformed officers patrolling the streets or, less commonly, in patrol cars. On the whole the Garda is a largely unarmed force, certain units within the Garda do routinely carry firearms but generally the Garda likes to escalate things to the military in instances involving firearms. The Garda has plain-clothes detectives organized into either the Detective Branch or Special Branch. The former deals with investigation and detective work concerning fighting crime. Special Branch, on the other hand, tends to focus its efforts on counter-intelligence and cases that effect the national interest and security. Unlike the Commonwealth’s intelligence services, Special Branch has the power to arrest spies and is frequently called upon to do so. Though air security is generally in the hands of the Royal Aero-Fleet, the Garda does maintain its own Air Wing to combat aerial crime within the Home Isles. Blimps of the Garda Air Wing are a common sight over the towns and cities of the Home Isles, though the Air Wing also has a squadron or two of light fighters on its books stationed in the capital of Lindun. Air Wing officers are also placed on passenger airships as effectively sky marshals, particularly if there is an important passenger or valuable cargo onboard. The most obvious way to use the Garda is as an opponent for the characters, though the Garda could also serve as a useful ally. If the characters go down the sky pirate route there is a good chance that they’ll have a run-in with the Garda sooner or later. Similarly, if the characters commit a high profile crime in the Home Isles they can expect the Garda to come after them. On the flip side, if the characters are working for the Commonwealth they can expect to find a valuable ally in the Garda. The other way to include the Garda is to run a Garda base campaign with the characters being members of either the Detective Branch, Special Branch or the Air Wing. There is a degree of overlap in the work done by these departments, so it is possible for the characters to work alongside colleagues from other departments or form part of a multi-department team. Previously, the crew put their plan into action to restore Reginald to his family's good graces...or at least to gain unrestricted access to the Spitsworth family wealth. This week was the next stage of the plan, one that concerned Reginald's sister Elisa. The hope was to convince her to come along and stage a kidnapping and then rescue by Reginald.As it turned out, things really go to plan nor as expected. Jacob continued his 'torture' of Reginald and Edmund to help authenticity to the whole kidnapping plan. When asked who was the more valuable one both brothers agreed that it was Edmund, strangely Reginald was quicker off the mark in saying this. After Reginald was dragged from the room, Jacob then leaned on Edmund to tell him what the Spitsworth brother knew. Edmund spilled his guys, though figuratively rather than literally, and told Jacob everything he knew about the Spitsworth family's dealings. Jacob then divulged the information with Alex whilst Sebastian made preparations to meet Elisa. Sebastian had arranged to meet up with Elisa at the same village inn where the crew had been put up after their lodgings on the Spitsworth estate mysteriously burned down. New guy Gren and Herbert went along as Sebastian's bodyguards whilst Jacob and Alex sought out a local street gang to hire. The idea was that Jacon would lead the gang to 'kidnap' Elisa and Sebastian's bodyguards would pretend to put up a fight. Only Elisa wasn't at the inn when the trio arrived. Puzzled, the trio sat down at a table in the barroom with only a couple of farm workers and the bartender for company. Sebastian wracked his mind to make sure he had the right information and have the right information to Elisa. Just then Gren's Danger Sense kicks off and a dozen well armed and well equipped mercs step out from where they'd been hiding. The lead merc announced that they'd been waiting for the characters and that "His Lordship wants a word with ye." So outnumbered four-to-one by a bunch of SMG toting mercs and with their escape route cut off, the trio meekly surrendered and agreed to go meet His Lordship....opened fire on the mercs. Gren had spotted that a ceiling beam was propped up by a wooden post in the middle of the room and shouted to Sebastian to shoot it out. 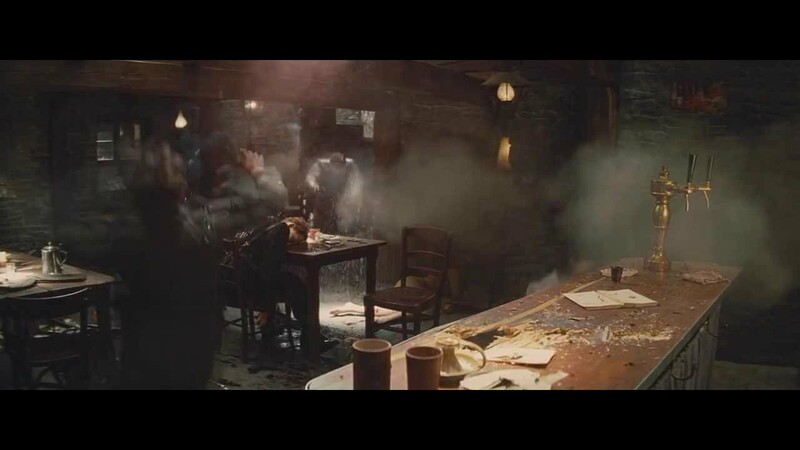 Herbert, meanwhile, kicked over one of the tables to provide some cover for the trio as Sebastian blew away the post with his guns before being yanked back into by Gren. Then Gren opened fire on the mercs as the ceiling made disturbing noises and began to sag as dust and bits of plaster started trickling down. The mercs responded with a barrage of around a dozen SMGs, though strangely did little more than perhaps nick Gren and Sebastian with splinters from the table. With a resounding crash the ceiling gave way and came down, quickly filling the room with a cloud of dust that impeded the shooting of those present but having no other real effect. Gren got a shot off before Jacob, Alex and one of the street gang goons arrived. Jacob fired blindly from round the door before Alex walked in and called for a ceasefire, stalling the mercs along enough for him to move into cover behind the bar and for the dust cloud to settle. 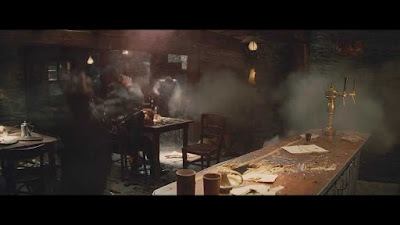 Alex then abruptly ended the ceasefire by shooting his gun cane point blank range at the nearest merc before ducking down behind the bar, others had taken advantage of the ceasefire to move into better positions before the gunfight resumed. The rest of the mercs were then whittled down in short order with the crew taking nothing more than flesh wounds if that. They then looted the mercs, letting the street gang take their pickings in lieu of payment before the pub was put to the torch. The crew radically changed their plan and decided to do an all-out assault on Spitsworth Manor, but had the foresight to scout it out first. Good thing as it turned out that the Manor was guarded by a company of mercs, requiring a revision of the crew's planned assault. I'd figured there was going to be a fight this session, but thought the players would go straight to an assault on Spitsworth Manor. Then again I was expecting the players to agree to go meet Lord Charleston rather than fight, though should I really be that surprised? Adventure Cards proved to be extremely useful for the players as the cards allowed them to negate or completely ignore damage as one of the characters almost ended up dying twice. Regardless the fight proved useful for me as it felt like a challenge for the characters and encouraged them to take advantage of stuff like cover, etc. Next session looks like it could potentially be the last depending on what the characters do and how lucky they end up being. 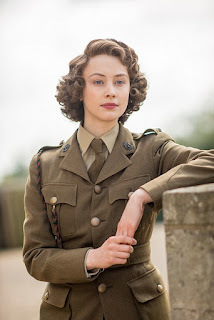 Banrigh (Queen) Lothwyn has been the Commonwealth’s monarch since just after the end of the Great Darmonican War, having inherited the crown following the death of her father King Alfred. Not only did she had to contend with being the youngest ruler in Darmonica, she also had to get used to a world at peace after growing up in one at war. Her coronation was seen as a fresh start after thirty years of war, though her reign thus far has seen an uneasy peace hold sway and tensions once again on the rise. Though she doesn’t actually govern the Commonwealth she has a lot of influence to direct policy, though she has rarely used this power. Lothwyn stands round 5’6” tall and is of slim build. She has coal black hair with slate grey eyes and a pale complexion. On both arms she has Celtic style blue spiral tattoos that run from her wrists up to her shoulders. As the head of state of the Commonwealth, Lothwyn has very little real power and performs a largely ceremonial role. The actual day-to-day running of the Commonwealth is done by the government headed by the Taoiseach (Leader or Prime Minister), though he and his ministers are held accountable by the Commonwealth’s parliament. 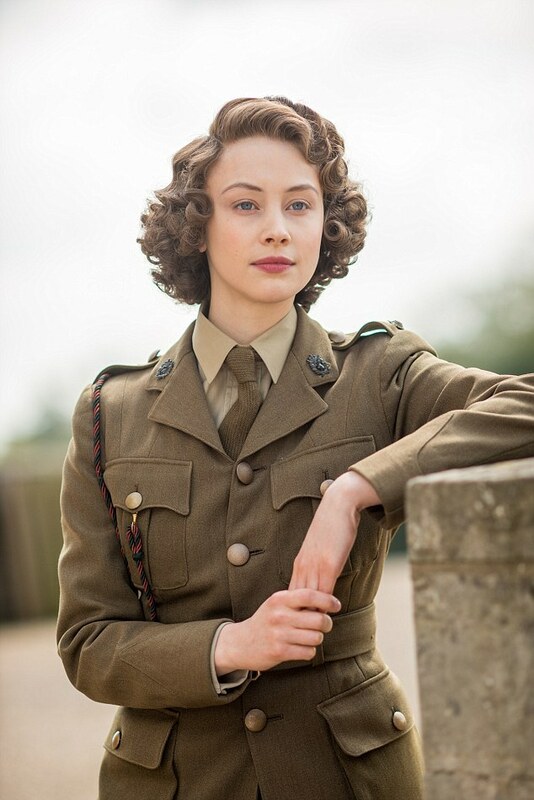 Despite her ceremonial role, Lothwyn remains the commander-in-chief of the Commonwealth’s military as well as the ability to dismiss and appoint a new Taoiseach in addition to dissolving parliament. The Queen has a handful of other duties that include giving Royal Assent to new legislation passed by parliament, thus making them into law. She is advised by the Provost Court, a body made up of her vice-regal representatives in various provinces and certain large towns. Depending on what they represent, the members of the Court are called Provosts or Lord Provosts and effectively act as mayors or state governors. Given that she is the Commonwealth’s head of state, it is very unlikely that the player characters will get to meet Queen Lothwyn unless they’ve done a great service to the Commonwealth. It is more likely for Lothwyn to be in the background, for example a town could turn out to see her visit and thus provide a distraction for the characters to rob the town’s bank.